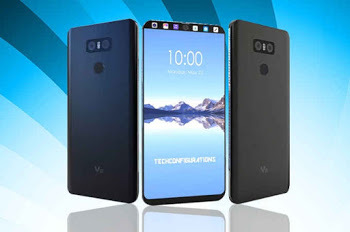 LG V30 is another superb smartphone from LG that is hoped to be launched around September , with that in mind it will be among the first LG phones to get the latest Android 8 Oreo updates first before others. The LG V30 will come with a 4GB RAM accompanied with a 64GB inbuilt storage. It's really a 6 incher with Gorilla Glass 5 screen . It would be powered by a Qualcomm MSM8998 Snapdragon 835 chipset and runs Android 7.1 out of the box. The LG V30 will also have a 16-megapixel rear camera and a 5-megapixel front camera. The gadget has USB Type-C connector, unique finger impression and accompanies 3300mAh battery capacity. Checkout more features below. this device is nice especially the 4gig ram aspect of it but the ba3 capacity should have been step up a bit but it is too cost. Wow. Fine phone, fine ram, fine, camera, battery not that bad. Well 281k, money for iPhone 7..well nice one Mr admin. Thanks. pls nueltech when ever I post on this blog I don't usually see them. Who that kind price epp in this present economic recession? Anyways, thanks for sharing this information with us here.